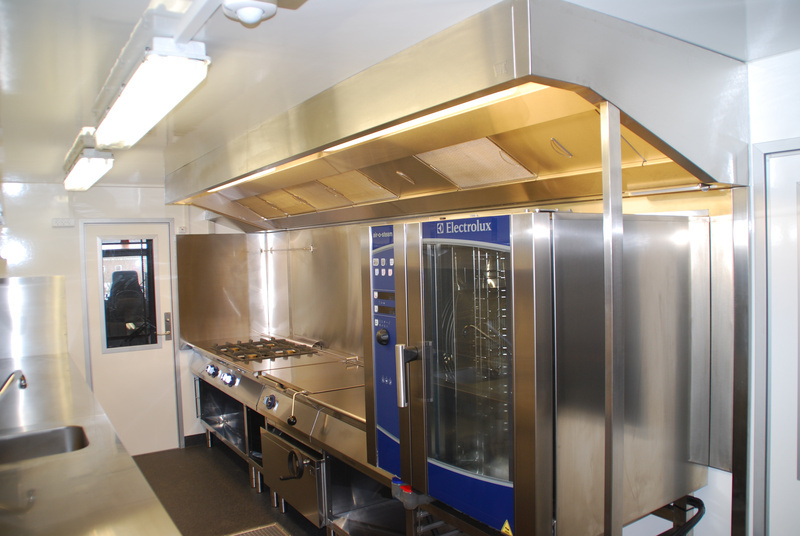 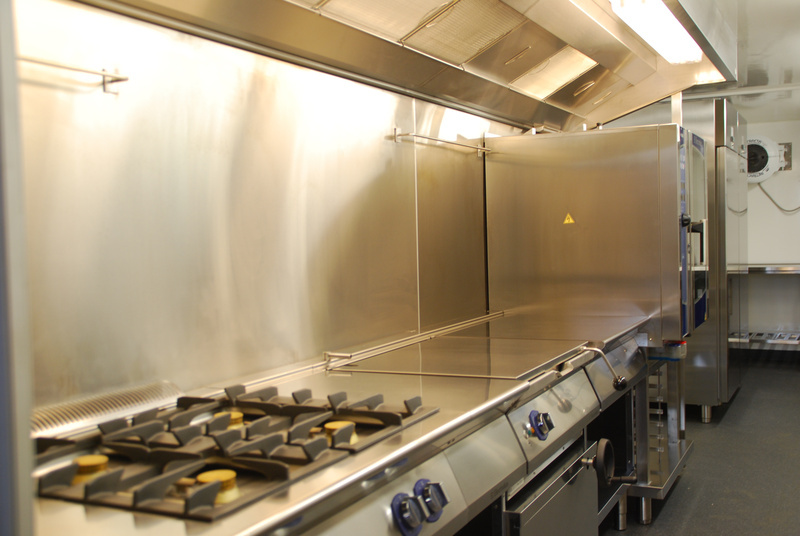 Mobile kitchen model E is a lightweight unit that comes with numerous options for connecting it to dishwashing units and additional kitchens. This makes it ideal for those situations that call for large-scale production. 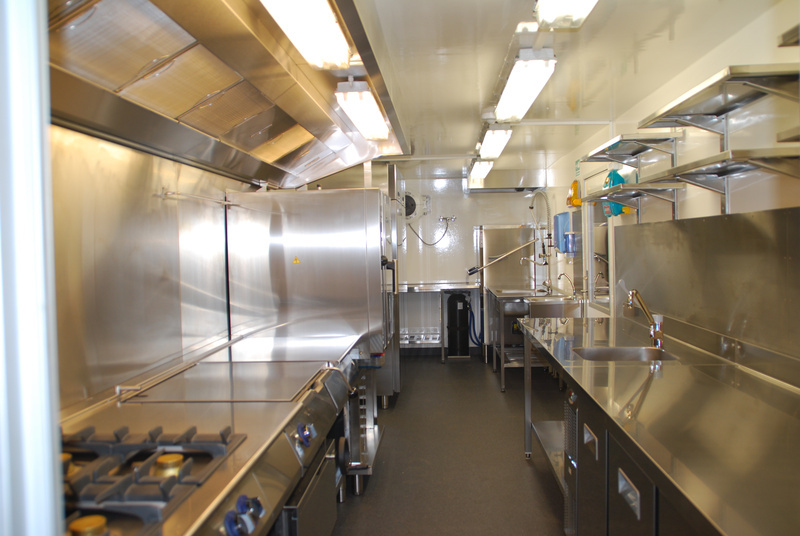 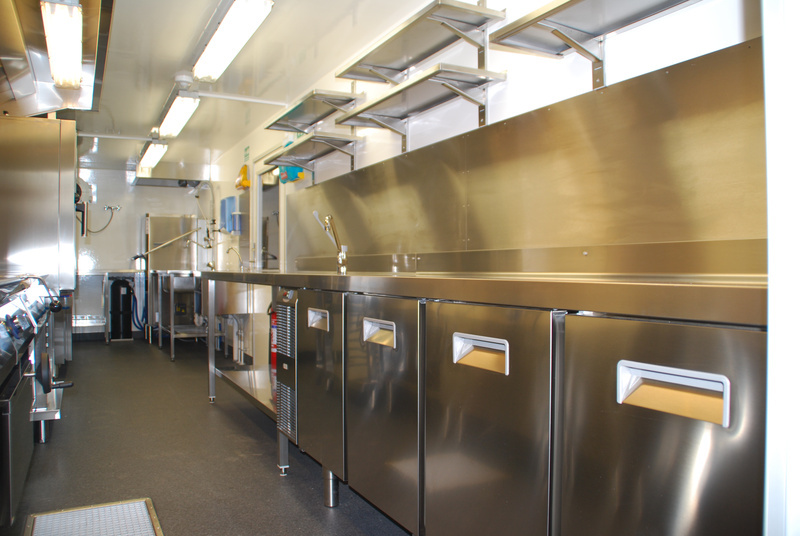 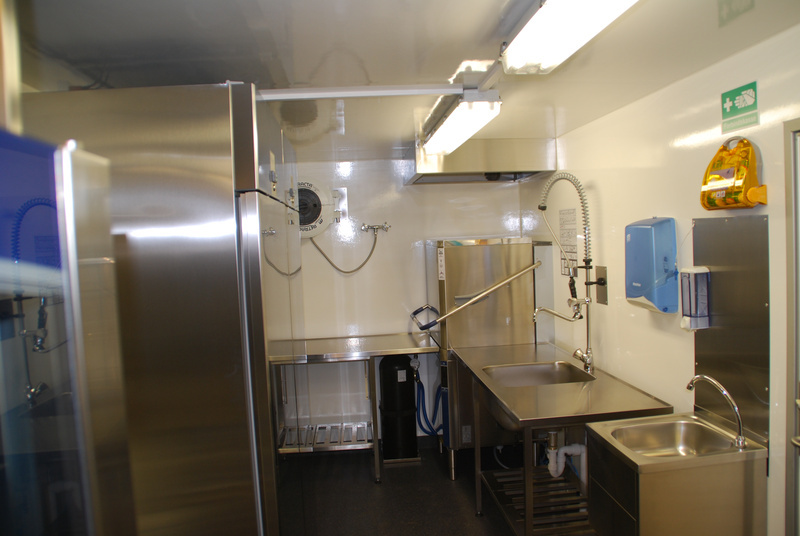 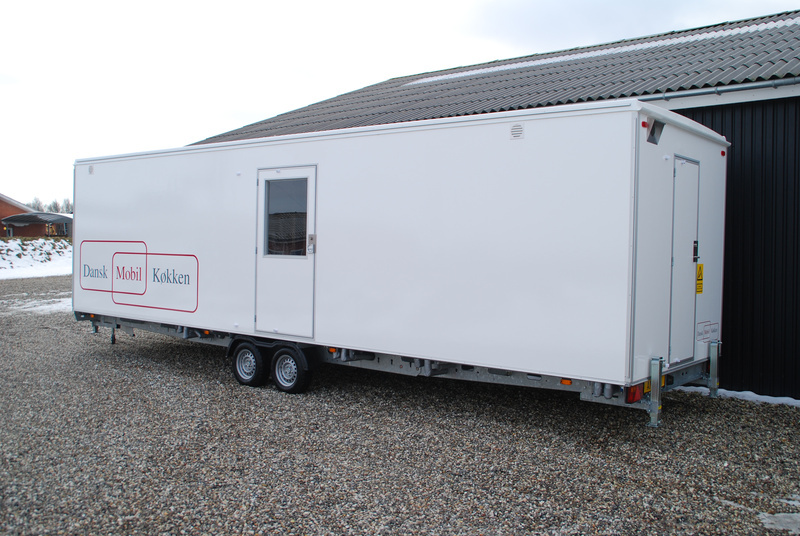 Mobile kitchen model E is nice and bright with windows in three out of four doors and easy access to and from the unit. 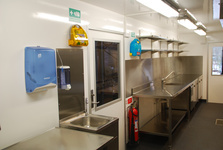 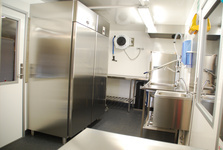 There is a utility room at the back of the unit with electrical panels, space for gas bottles and a hot water tank.